Judaism, the oldest of the major Abrahamic religions, is said to be the mother faith of Christianity, Islam, and the Bahá’í Faith. In Judaism for Deepening and Dialogue we will focus on the eternal spiritual teachings that, according to the Bahá’í writings, all religions share. We will also explore Jewish beliefs, practices, holidays, and life-cycle ceremonies, such as circumcision, bat/bar mitzvah, marriage, and funeral customs. 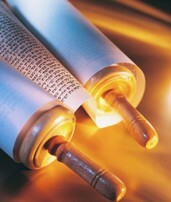 Our aim is to gain insights into the heart of Judaism for the purposes of deepening (acquiring a better understanding of the Jewish basics as a divinely revealed religion) and dialogue (having a knowledge of Jewish customs, ceremonies, and beliefs to foster significant conversations between Jews and Baha'is in an informed and respectful manner). To form a group, ask some friends whether they'd like to take the course with you. If at least one other agrees, go into the registration system, establish a group, and pay for it. Be sure to select “group” rather than “individual” on the first screen. Then follow the guidance here: Study Alone or in a Group on how to add additional study group members, and to manage the payments, which can now be done individually. Tuition support is available for all who need it. See the Wilmette Institute's Tuition Support Policy, then email learn@wilmetteinstitute.org to join the support program.